Teaching Truth International offers a variety of different courses and in a variety of different contexts from the following fields: Bible, Theology, Church History and Apologetics. Our conferences can last from three days to three weeks. Individual teaching sessions include lecture, question and answer time, small group discussion, and occasionally an exam. In most places where we teach, the pastors require introductory material, though we have taught more advanced material in accredited institutions. All of our courses are flexible. We can modify the length of our courses to fit into the time periods that match students/pastors schedules. While we emphasize some courses (listed below), we’ll write new courses to meet local needs. Rick Cornish is a former Marine Officer with a Doctorate degree from Denver Seminary as well as a Masters degree in Greek and history from the University of Nebraska. He has seventeen years’ experience as a pastor in the U.S., and is the founder and President of “Teaching Truth International” (TTI). Rick teaches New Testament, systematic theology, biblical theology and church history at several international pastoral training centers in east Asia, Latin America and Africa. He previously served as U.S. Director and teacher of New Testament and systematic theology at Donetsk Christian University in Ukraine. Rick is the author of three books: 5 Minute Theologian, 5 Minute Apologist, and 5 Minute Church Historian, all published by NavPress. 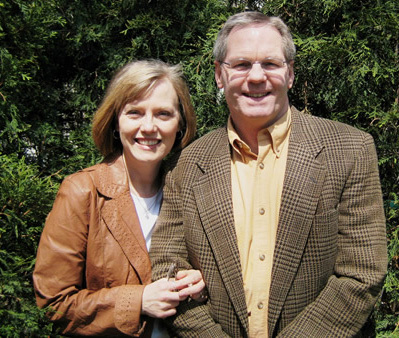 Tracy and Rick met through Youth for Christ, and have been married for over 40 years. During their years in ministry she has been active with youth ministry, women’s ministry, and music. She served for ten years as the Assistant to the Women’s Ministry Director at Bethlehem Baptist Church in Minneapolis, and has traveled with Rick to Ukraine, Australia, Nicaragua and China. Rick and Tracy have two sons, Scott and Ben. Scott earned a B.A. in music from the University of Arkansas, a Masters degree in Christian Thought from Bethel Seminary in St. Paul, Minnesota as well as a Masters degree Worship Leadership at Southern Seminary in Louisville, Kentucky. Scott is the Director for Orchestra, Instrumental Music, and the Performing Arts Academy at 1st Baptist Church in Arnold, Missouri. Ben earned a B.A. in history at the University of Minnesota, and a Master of Divinity degree at Southern Seminary in Louisville. He is the Vice-President of TTI and teaches systematic theology, biblical theology, New Testament, Old Testament, and apologetics at several international pastoral training centers around the world. Ben is married to Emily who teaches in the Louisville School district. Ben Cornish is Rick & Tracy’s youngest son. He holds a B.A. in History from the University of Minnesota (2009), and a Masters of Divinity from the Southern Baptist Theological Seminary in Louisville Kentucky with a focus on missions (2016). Ben Cornish is Rick & Tracy’s youngest son. He holds a B.A. in History from the University of Minnesota (2009), a Masters of Divinity from the Southern Baptist Theological Seminary (2016), and is now pursuing a Ph.D. from Southern. 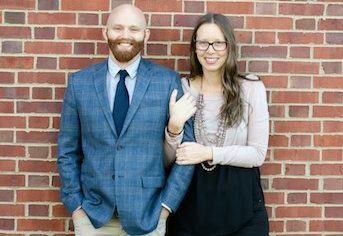 After his graduation from the University of Minnesota Ben entered the mission field serving as the missionary team leader and campus director for Cru (formerly Campus Crusade for Christ) in Brisbane Australia. He served there for two years, in 2010 and 2011. While there his gift of teaching became apparent and he returned to the US to join staff with Teaching Truth International to focus on equipping the forgotten pastors of the world to know God’s word more faithfully. Ben writes and teaches courses in bible, theology, and apologetics for Christian leaders from all around the world. He has done missionary work in five continents including fourteen countries and more than 20 international cities. Ben met his wife Emily through Cru in 2009 and they were married in 2012. They are members at Sojourn Community Church in Louisville, Kentucky. Jamin Eben hails from the Black Hills of South Dakota. He holds a BS in Music from Black Hills State University (2009), and a Masters of Divinity from the Southern Baptist Theological Seminary in Louisville Kentucky (2016). Jamin Eben hails from the Black Hills of South Dakota. He holds a BS in Music from Black Hills State University (2009), a Masters of Divinity from the Southern Baptist Theological Seminary in Louisville Kentucky (2016), and is currently pursuing a Ph.D. from Southern Seminary. 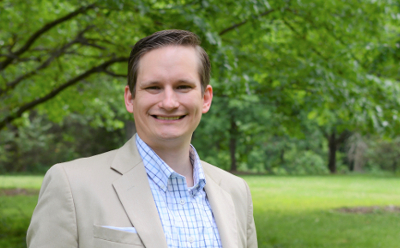 Jamin worked as a Christian broadcaster for nine years in the upper Midwest before coming to Kentucky to pursue his Masters of Divinity in 2012. He served for five years as a pastor in Southern Indiana before joining TTI. While working as a broadcaster, Jamin was involved in several short-term missions trips and was broken over the theological famine afflicting pastors in the developing world. This new found passion developed into a close relationship with the mission and staff of TTI, and eventually a full time partnership. Jamin focuses his efforts on the areas of preaching, exegesis, theology, and church history. He lives in Louisville KY. Teaching Truth International affirms the faith of Jesus Christ and the Apostles. Along with the early church, we accept the authority of the Bible, that is both the Old Testament and the New Testament, as constituting the old covenant and the new covenant of God with his people. Thus we accept its teaching as authoritative and infallible. As brief summaries of the faith of the Bible, we affirm two creeds of the early church, the Nicene Creed and the Apostles’ Creed. Teaching the forgotten pastors who serve in the hidden corners of the world. By God's grace, we strive to be God-exalting, Christ-adoring, people-loving Teachers of Truth.